provides users with an OSHA-compliant solution for the regulation on respirable crystalline silica dust. An automatic filter cleaning mechanism helps maintain consistent airflow and suction in tough dust-producing applications. The extractor’s unique two step filtration system includes a 99.97% efficient HEPA filter as the final step, leading to cleaner air and a safer work environment. 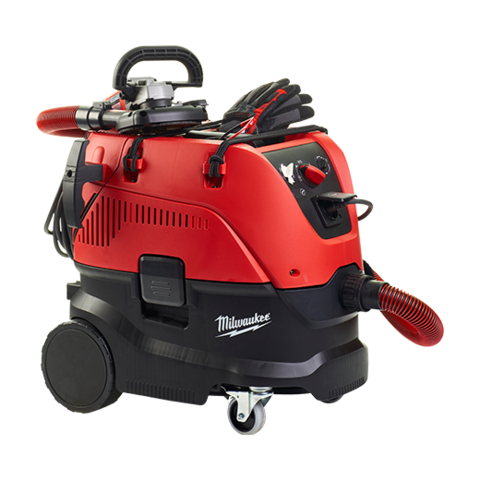 For added convenience, an on-board tool activated plug allows users to start and stop the vacuum with a power tool to increase productivity.